Make meal planning enjoyable again. Does dinner time roller around and you find yourself standing in front of the pantry and fridge not sure what's for dinner?You are not alone. This Meal Planning Bundle is everything you need to make meal planning enjoyable again. Does dinner time roller around and you find yourself standing in front of the pantry and fridge not sure what's for dinner? You are not alone. 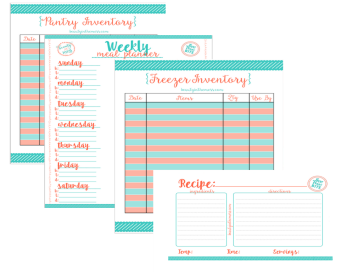 This Meal Planning Bundle is everything you need to make meal planning enjoyable again.